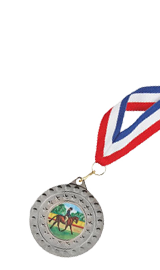 Whether you need a stunning silver cup, a sleek wooden plaque or magnificent medals to place on the presentation table at your next corporate awards night or sporting competition, check out our special offers. You could get everything you want for much less than you think. 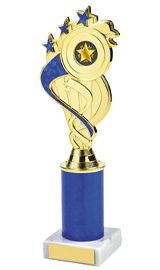 Ideal for any cash-strapped club or company trying to stick to a tight budget, these stylish trophies are available at discounted rates, enabling you to get more for your money. We update this popular section of our online store regularly and the products in it are often only available while stocks last. Therefore, if you have your eye on any particular items, buying them promptly is a must. However, you could find a cool column trophy, silver salver, contemporary glass item or even a chunky resin block award you love on sale and you won’t need to compromise when it comes to quality. Many of our discounted products are simply end-of-line items, while others are being offered at reduced prices for limited periods of time. You may be getting a bargain when you select products from our special offers section but you can also ensure that the items that you buy have individual charm, as our engraving service is available to you for a small additional fee. That means that your trophies and medals will still delight the recipients – you’ll just be saving some of your club or firm’s hard-earned cash. Like all the other trophies that we offer, our discounted items are simple to order and we can deliver them to addresses throughout the UK and Ireland. Our friendly team members will also be happy to answer any questions you have about any of our products if you give us a call on 020 8722 0250 or email us at sales@challengetrophies.co.uk.